It’s one of the most famous hikes of Val d’Ala. 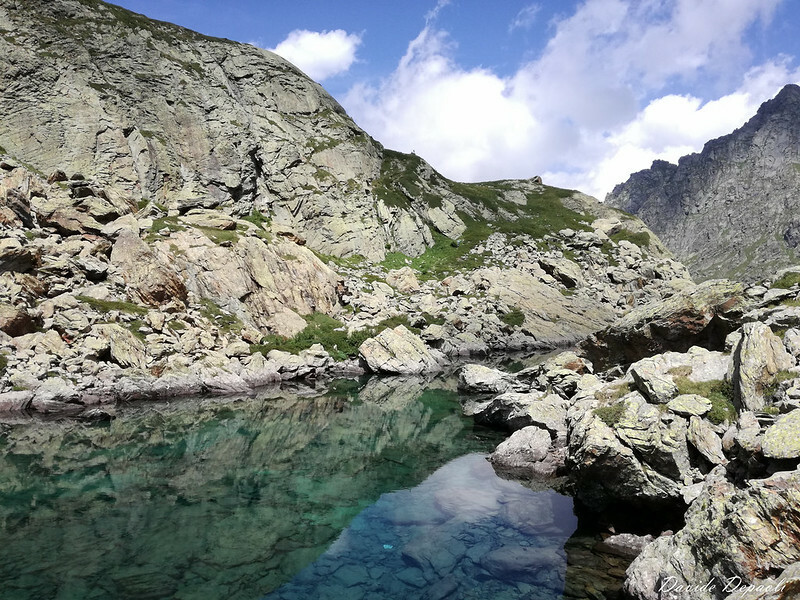 Laghi Verdi (“Green Lakes”) are called with this name due to their color, emerald-green. The area is very stunning, overlooked by the Noth wall of Torre d’Ovarda (“Ovarda Tower”). From Turin take the SP1 road, passing through Venaria Reale, Robassomero, Fiano and Cafasse; then after a gallery you will be in Lanzo Valleys. Otherwise from Turin pass through Caselle, Ciriè, Nole, Mathi, Lanzo and Germagnano; passed the last one, at a roundabout, you will find the route previously described. Ignore the indications for Valle di Viù, pass through Pessinetto, ignore the indications for Mezzenile, and, at a traffic light, go straight on. Follow the route, passing Ceres, Ala di Stura, Martassina, Mondrone, Molette, Chialambertetto. Arrived near the “Acqua Pian della Mussa” facility, ignore the first street on the left, and take the second one (indications for I Fré). After having passed a bar, continue on the tiny street till when it bends on the right, and park the car in the proximity. 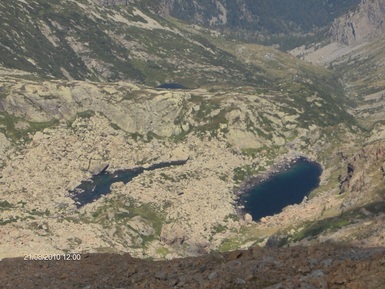 From I Fré 1945 m (a Balme hamlet), cross the Rio Paschiet thanks to a bridge (indications). Follow the GTA path (Grande Traversata delle Alpi), overtaking Alpe Pian Salè 1850 m and Alpe Garavela 1744 m. Approximately at 1900 meters above sea level, turn right following the indications for Lago Paschiet. Crossed the Paschiet river, after a little rise, the path passes near Alpe Paschiet (without reaching it) and arrives at Lago Paschiet 2003 m. Turn left and walk along the lake for a little stretch, then take the path that climbs the slope which is on the left of the lake (East). After a little ascent, the track reaches a little hill from which Lago Verde Superiore (the superior of Green Lakes) is visible. Descent the opposite slope till taking the GTA track directed to the Paschiet Pass; walk up arriving at Lago Verde Superiore and at the little building of the Bivacco Gino Gandolfo (Gino Gandolfo bivouac). Go down along the GTA path, arriving at Lago Verde Inferiore. The track continues passing near some ruins and descends along the Vallone Paschiet. Near Alpe Pian Buet 2006 m, ignore the track directed to Colle del Vallonetto, and continue on the GTA path till arriving at the ramification for Lago Paschiet, to be ignored. From that place to Balme following the ascent route.